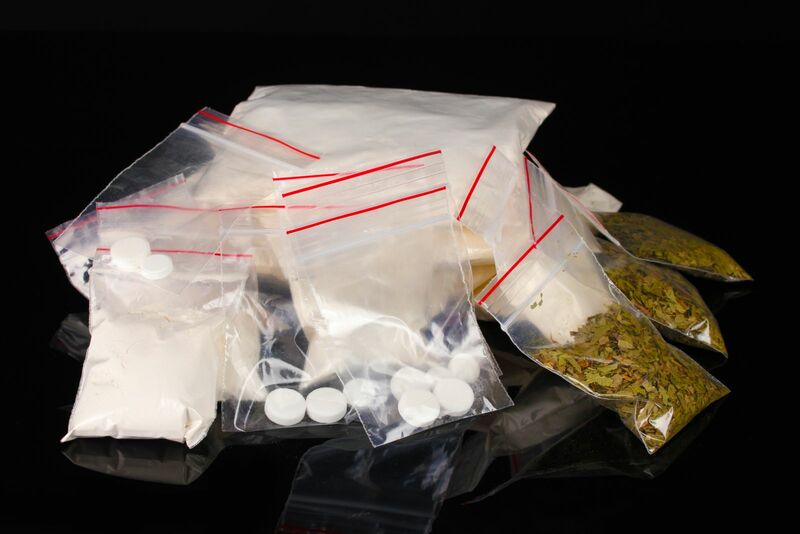 Our criminal defense law firm handles a number of drug cases in Pennsylvania and New Jersey, in New Jersey, like Pennsylvania, possession with the intent to distribute, manufacture, or dispense a Controlled Dangerous Substance (CDS) (Pennsylvania – Possession With Intent to Deliver (PWID)) is a felony offense. New Jersey classifies drug offenses as crimes of the 1st, 2nd, 3rd, or 4th degree depending on the type of substance and the amount in question. The gravity of the offense is conditioned upon the type of substance and the amount. For example, a CDS like heroin or cocaine (Schedule I), is treated as a crime of the 1st degree where the amount in question is 5 ounces or more. A person who is charged and convicted for this offense under 2C: 35-5(b)(1) faces a maximum term of imprisonment of 20 years and the court will impose a minimum term of imprisonment at or between 1/3 and 1/2 of the sentence during which time the defendant is ineligible for parole. The fine for a crime of the 1st degree is as much as $5,000. For this same substance (heroin or crack cocaine) where the weight is 1/2 ounce or more but less than 5 ounces, a person can be convicted of a crime of the 2nd degree. Second degree crimes in New Jersey mean that a person can be sentenced to between 5-10 years. Again, like crimes of the 1st degree where the court imposes a term of incarceration, the individual is ineligible for parole at or between 1/3 and 1/2 of the sentence imposed. Where the amount in question is less than 1/2 ounce, a person faces a crime of the 3rd degree. Unlike crimes of the 1st and 2nd degree, there is not a presumption of incarceration but the person still faces a term of imprisonment of a term between 3 and 5 years. Again, if the court does impose a term of incarceration there is a period of parole ineligibility set at 1/3 to 1/2 of the sentence imposed. The court is clearly convinced that the aggravating factors substantially out-weigh the mitigating factors set forth in 2C: 44-1(a) the court may fix the minimum term at 1/2 of the term imposed or 1/2 of the maximum period of incarceration for the crime. During this time the defendant is not eligible for parole unless there is some other law governing parole. While New Jersey, like the Commonwealth of Pennsylvania, have somewhat decriminalized the use of marijuana with its medical marijuana programs, the state does still prosecute individuals attempting to sell, distribute, or dispense it. A person who sells or distributes 25 pounds or more of marijuana faces a crime of the 1st degree and a crime of the 2nd degree where the amount is between 5 but less than 25 pounds. Where the marijuana in question is over 1 ounce but less than 5 pounds it is a crime of the 3rd degree under N.J.S. 2C: 43-3 and a crime of the 4th degree where the amount in question is less than one ounce. If you’re charged with a crime in New Jersey it is important that you and your attorney discuss potential sentencing in addition to the elements of the offense in question as both will play a critical role in your decision to proceed to trial or attempt to negotiate a plea. While New Jersey judges are not bound by the terms of plea agreements, they will, in most cases, sentence in accordance with those terms. For more information on drug crimes in Pennsylvania and New Jersey, keep reading this blog and visit my free download section.